One great way to make your brand more personal with social media is by having a little fun with your blog and other social media channels. Take a boring, serious topic and lighten it up for your followers. Here’s a great (and on-topic) example from UK electric supplier, Spark Energy: How Would They Have Saved Energy on The Death Star? They take the normally ho-hum topic and make it interesting to a new audience, all while having a little fun, showing some brand personality and developing the company’s voice in Social Media. 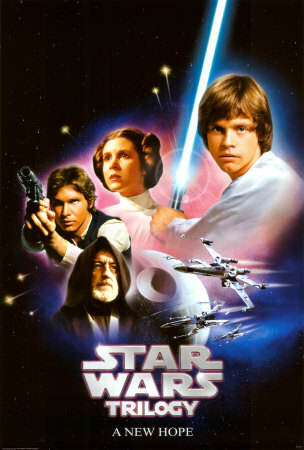 The Force: Obi-Wan Kenobi explains the Force to Luke as, “an energy field created by all living things. It surrounds us, penetrates us, and binds the galaxy together.” In social, The Force is like relationships and engagement, which is really the energy field that binds everything together. The Social Media Force is why thousands of people come together for SXSW for information that could fairly easily be conveyed online. Darth Vader and The Dark Side: The Sith are a group of Force-sensitive beings who use the dark side of the Force. In social, we see this when entities attempt to use social media for their own nefarious purposes. We see this every day, whether they’re scams, spam or even shady methods of increasing followers. Stay on the lookout to be sure your social outlets don’t stray toward The Dark Side. Yoda: Yoda is the last surviving master of Jedi skills who ends up training Luke Skywalker. In social media, you are Yoda. You are in charge of harnessing The Force for good. Whether you’re a Community Manager, Social Media Manager, or whatever your title is, you are the enlightened one who is able to share your knowledge and skills with your marketing team or the rest of your company and show them how to effectively use The Force. Luke Skywalker, Jedi Knights: Knights are like Luke Skywalker are Jedis who have completed their formal training. In social media, your influencers are like your Jedi Knights. Whether at the beginning stages like a Padawan, or more developed like Jedi Knights or Masters, your influencers are the ones that will go to battle for you. Whether it’s a detractor posting on your social media properties or the need for training other followers in the ways of your voice and brand on social media. Droids: In the Star Wars world, Droids are beings formed to be somewhat humanlike, but ultimately are robots instead. For social, Droids can be all of the automated tools that you can provide a humanlike appearance to your social channels, but that aren’t actually real in the end. It’s ok to use tools for automation, but don’t let that be the only form of communication you have, because in the end, no one wants to talk to a robot. Jedi Mind Trick: Using The Force, Jedis are able to use the power of suggestion, create illusions or even control someone’s mind. In social, you’ll see that with steady engagement and good content, you’ll get more followers. As your network grows, your followers or friends of those followers will build an affinity for your brand and you might be able to affect their purchasing decisions, even without them noticing it. Instead of happening instantly, though, it might take a little longer than the traditional Jedi Mind Trick. So there you have it – some of the ways that Social Media is just like Star Wars. What are some of your favorite parallels that we missed? Who is Obi-Wan, or Princess Leia? Let us know in your comments below! For more information on engaging in social media as if you had The Force, check out the free ebook, Building Stronger Customer Relationships: Making Your Brand More Personal With Social Media. Ya know, maybe you should write about what the Death Star would be like if cats ran it! YIKES! You could destroy it, but you have to scratch at it for a week.